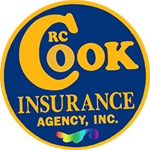 To find the best deals on boat insurance in Ohio, visit RC Cook Insurance or call us for more information about boat insurance at 330-296-3628. Are you making decisions on the open water that leave you open to risks? Without comprehensive jet ski insurance in Ravenna you may not be covered in many situations that come up on your boat. You may be thinking about the costs to get this coverage but since you can customize jet ski insurance to exactly your needs, you'll never pay more than you have to. Jet Ski insurance in Ravenna offers comprehensive coverage to all owners of boats, yachts and small water vehicles. This policy can include options to protect you against breakdowns, accidents, uninsured boat owners and medical costs.